Happy Hanukah! The ihatecupcakes test kitchen put something special together; click HERE for a holiday surprise. “Celebrating Hanukah” for the heathens in my family always meant an excuse for Krispy Kreme. But now, I have a good reason to take the holiday a little more seriously. (They don’t have “Hot Donuts Now” anymore.) 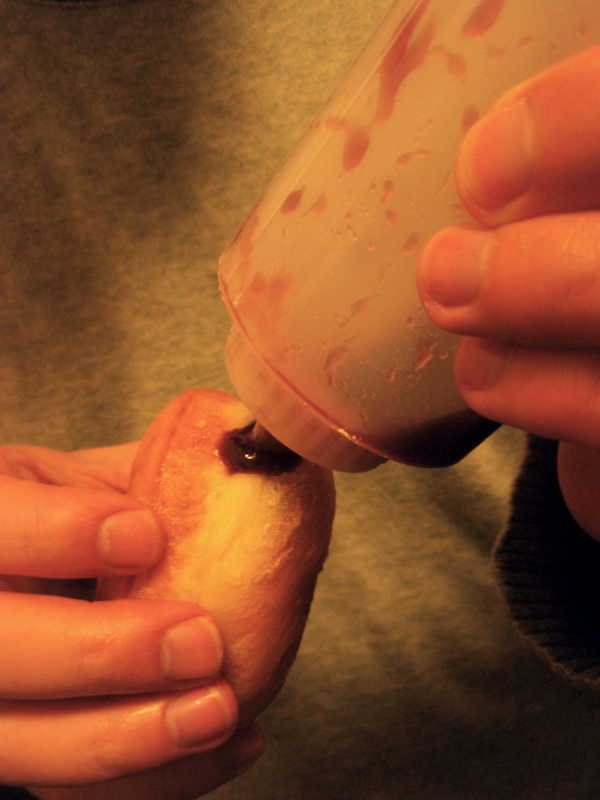 The real deal in oil-centric desserts are the Israeli jelly donuts sufganiot. 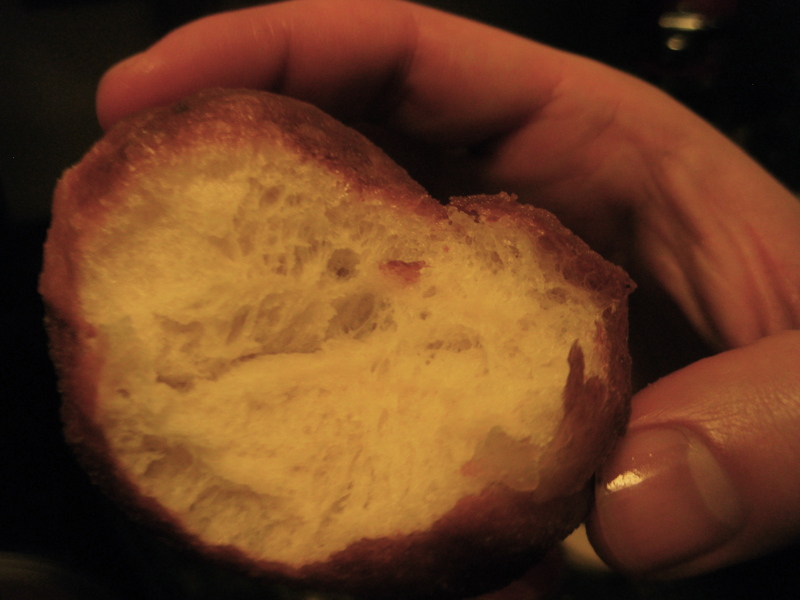 Wanting to test several versions to give a definite recipe, we made a lot of donuts. The two recipes we tried produced very different results: the first, a scrappy and cinnamon-flavored dough with an overnight rise in the refrigerator, involved frying the donuts with the jam already inside; the second, including lemon zest and brandy and kneaded in the food processor to the consistency of pizza dough, had the donuts injected with jam post-fry. 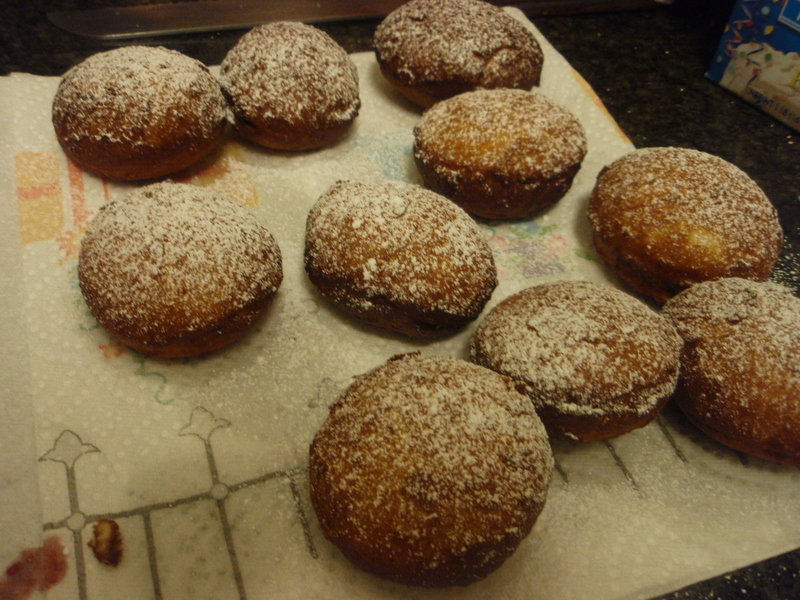 Here are the first, pre-filled sufganiot. Though tasty, they had gummy, uncooked centers and looked a bit squat. 1. Heat milk to 100 degrees F. Add ½ teaspoon of sugar and yeast. Let it rise for about 15 minutes. 2. Fit a food processor bowl with plastic blade. 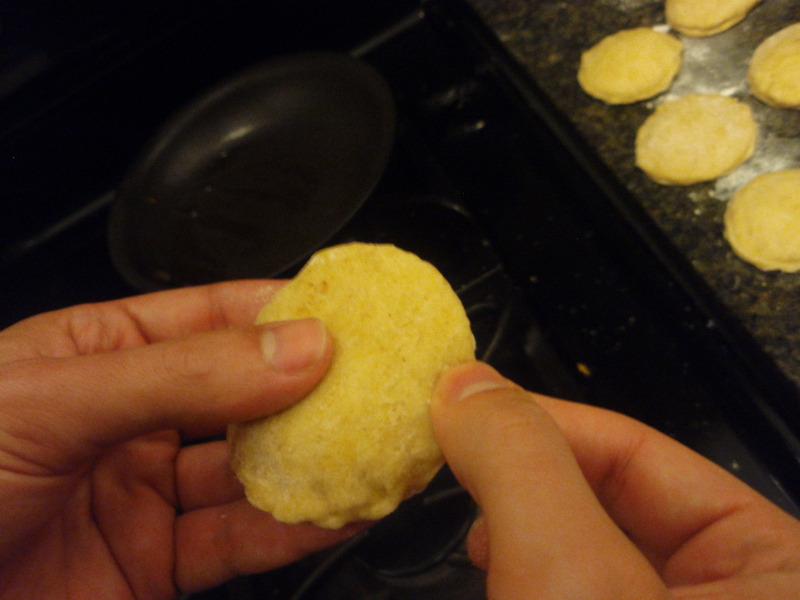 Add flour, butter, salt, remaining sugar, vanilla, lemon zest, and brandy. 3. 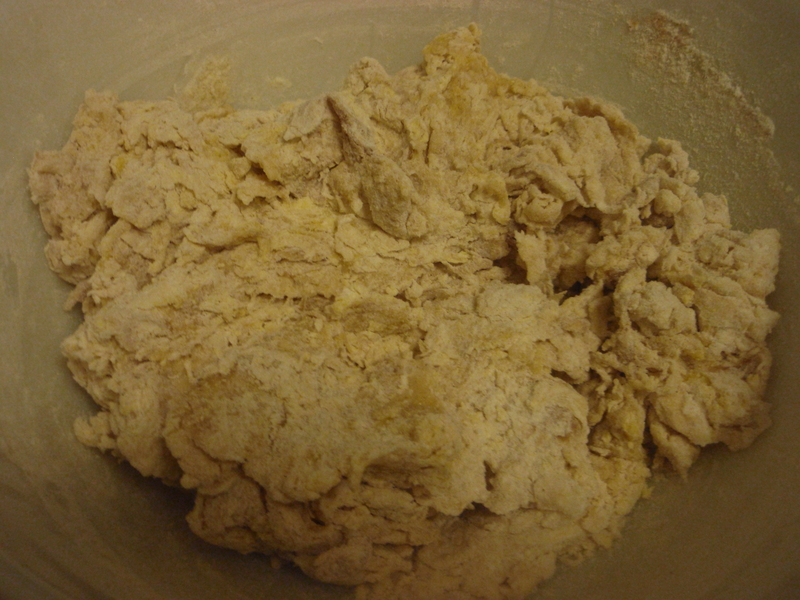 Blend until dough pulls away from the sides of the bowl, about 20 seconds. 4. 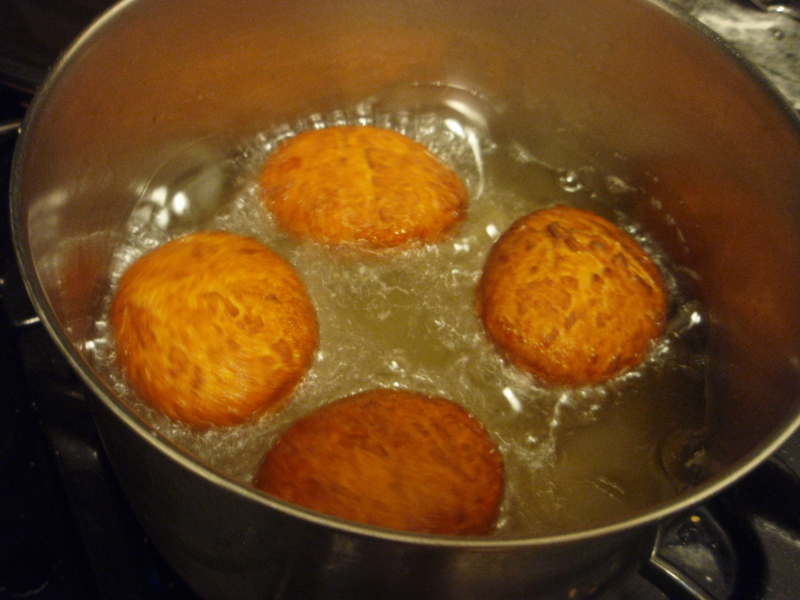 Put the dough in a large bowl, cover with a warm damp towel and let rise for an hour in a warm place. 5. 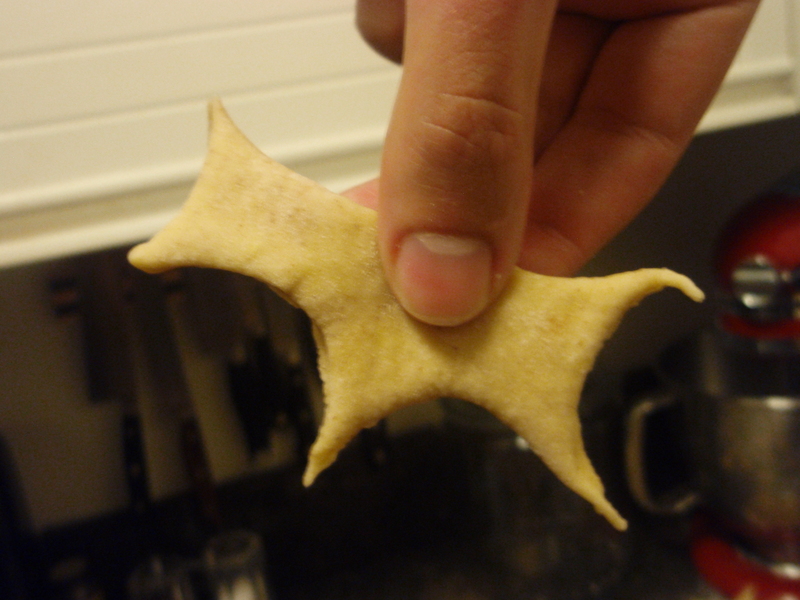 Roll the dough to ½ inch thick. 6. 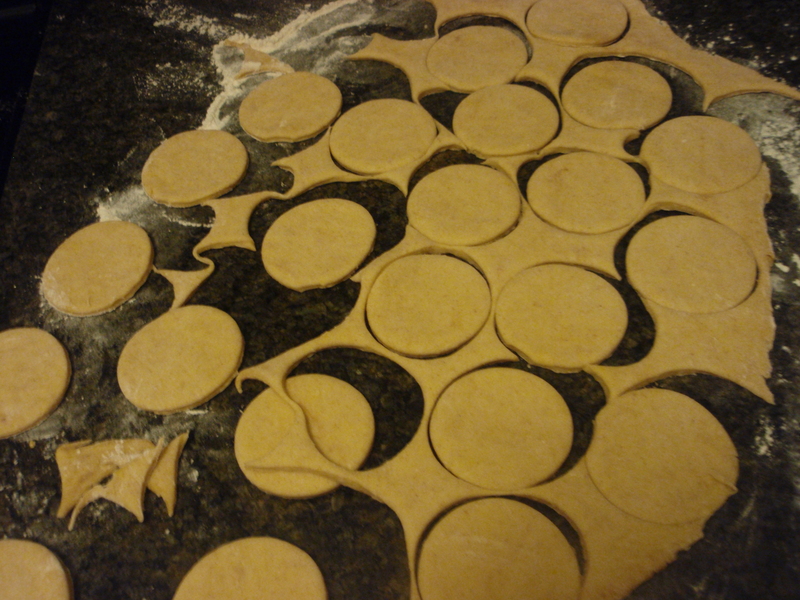 Cut circles with biscuit cutter or small glass, gathering and re-rolling scraps. 7. 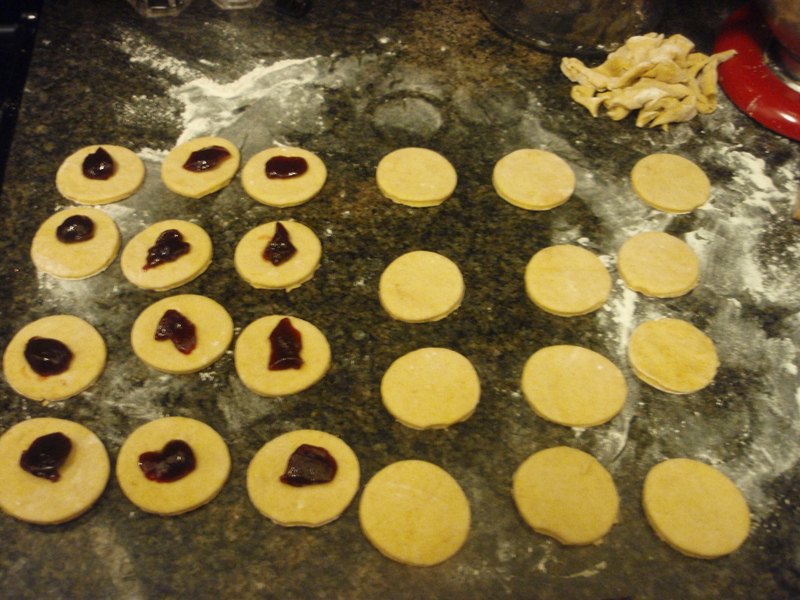 Place the dough circles on a floured surface, cover with warm damp towel and let rise another hour. 8. Heat 2 inches of oil in a large pot. 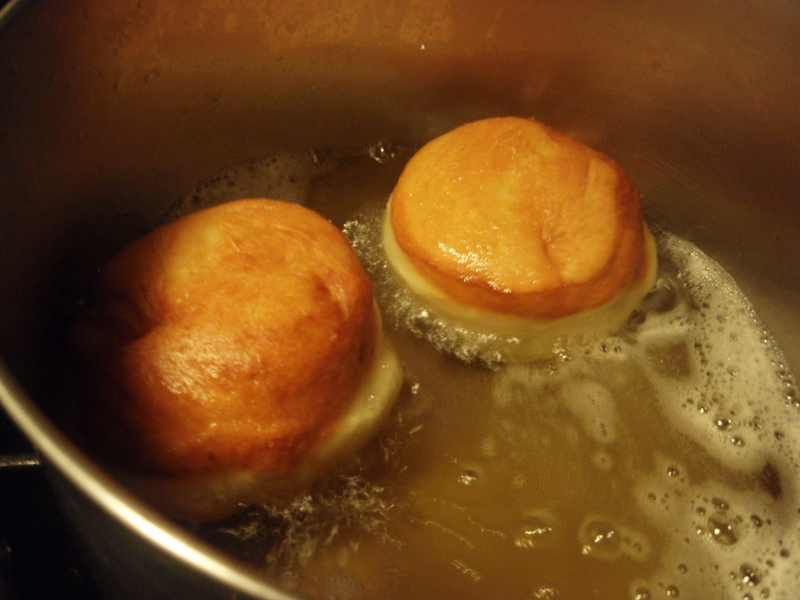 Fry each side until brown, about 30 seconds each. 9. Let cool and inject with raspberry jam. 10. 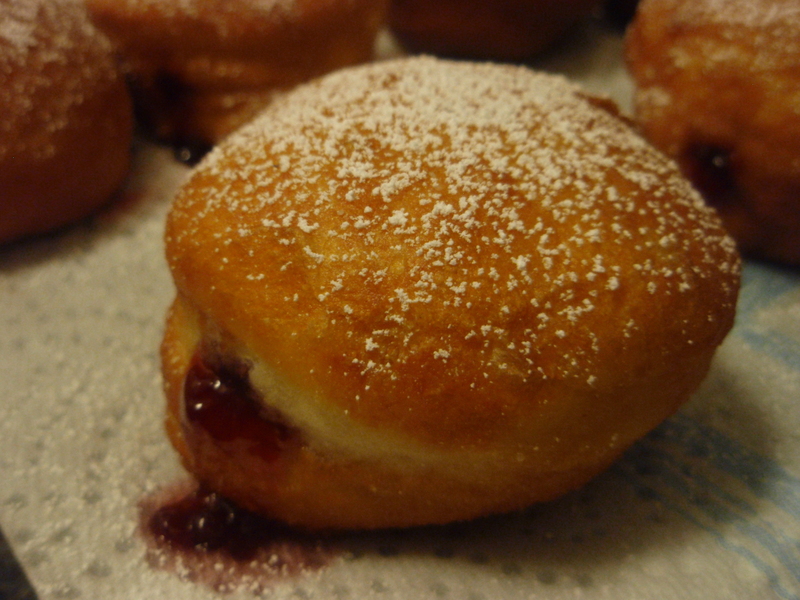 Sift powdered sugar over sufganiot. 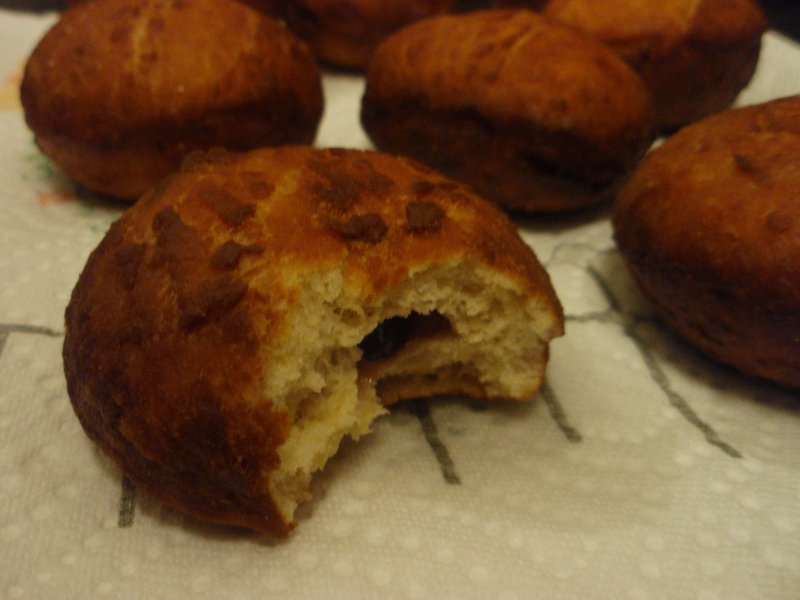 Like any donut these are best eaten the day of, ideally when still warm, but a few seconds in the microwave can help revive them a bit.